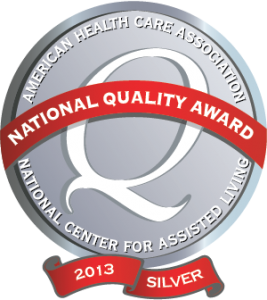 Kerr Lake Nursing and Rehabilitiation Center is proud to have received the 2013 Silver National Quality Award from the AHCA. 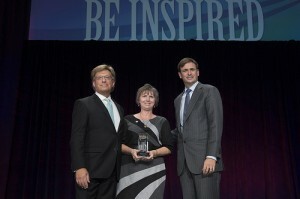 Silver – Achievement in Quality winners demonstrate a level of achievement in their quality journey through good performance outcomes that have evolved from how they embrace the core values and concepts of visionary leadership, focus on the future, resident-focused excellence, management by innovation, and focus on results and creating value. Find us listed in the Centers for Medicare & Medicaid Services and Best Nursing Homes in America for 2015. Thank you Vance County for choosing us again in 2016! 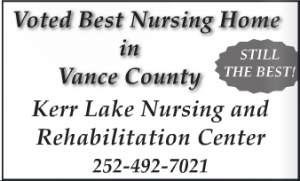 Since 2005 Vance County has recognized our facility as the best skilled nursing center in the community. © 2019 Kerr Lake Nursing and Rehabilitation Center. All Rights Reserved.